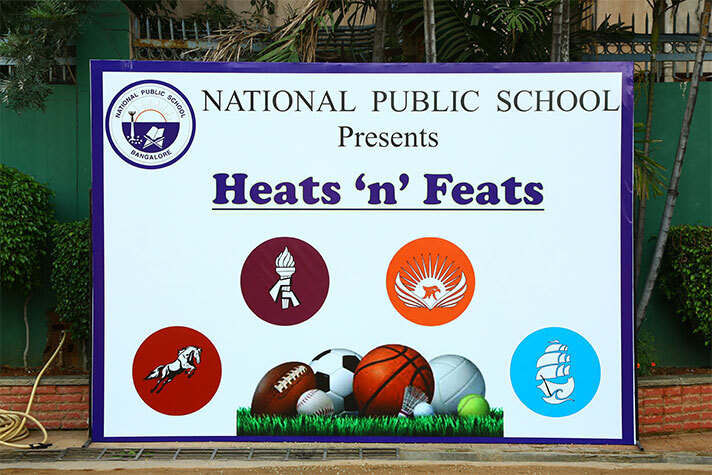 The much awaited sports meet, Heats and Feats was held on 8 December 2018 with great zeal and gusto. 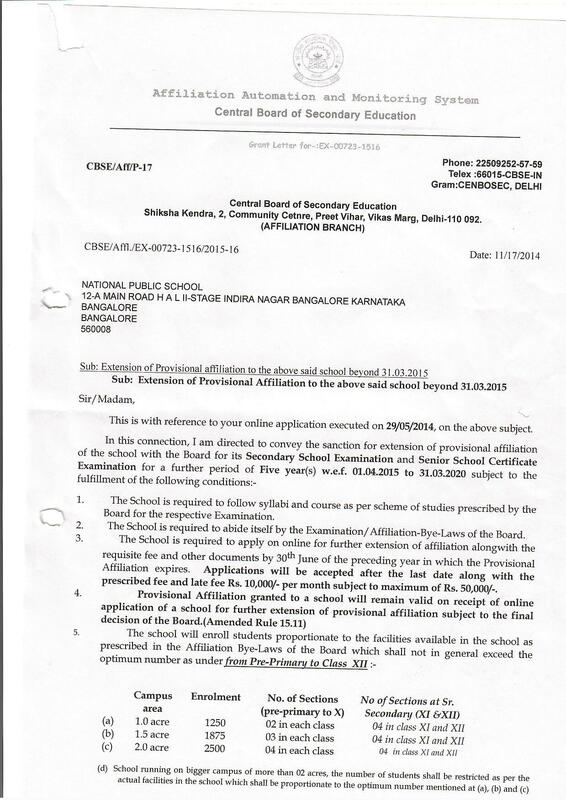 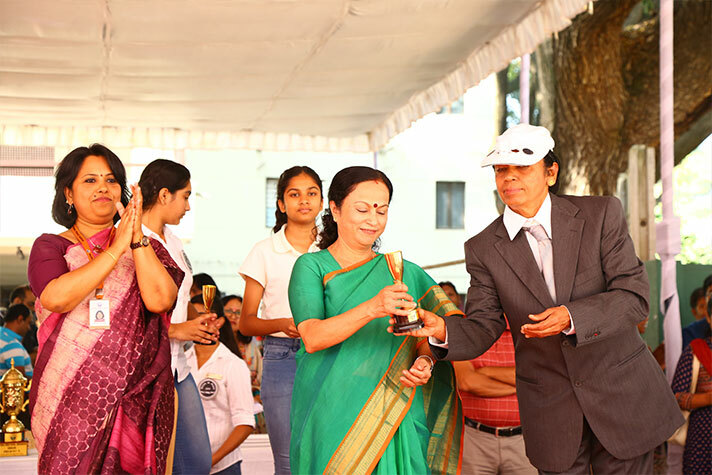 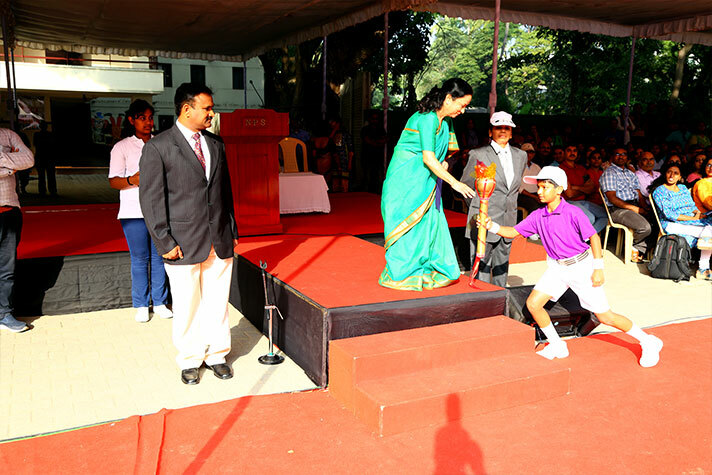 The programme kicked off with the Principal declaring the sports meet open. 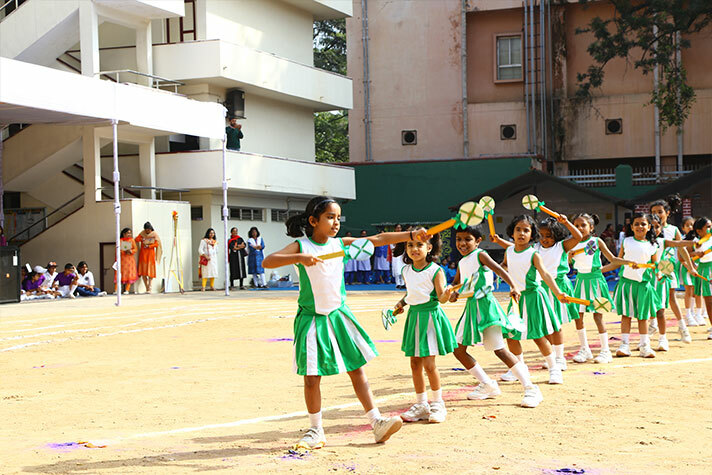 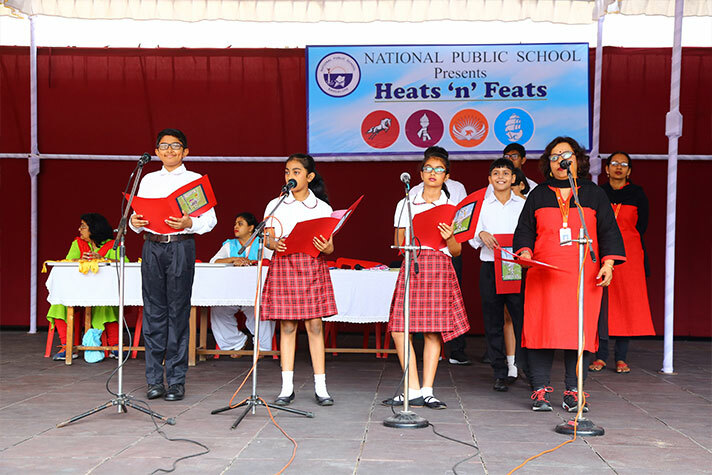 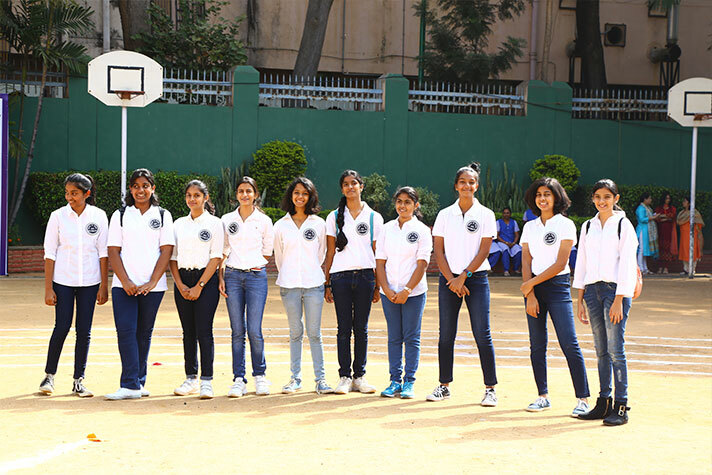 Exuding their marching skills, students marched around the school in their respective houses, saluting the audience to show an unwavering embodiment of discipline. 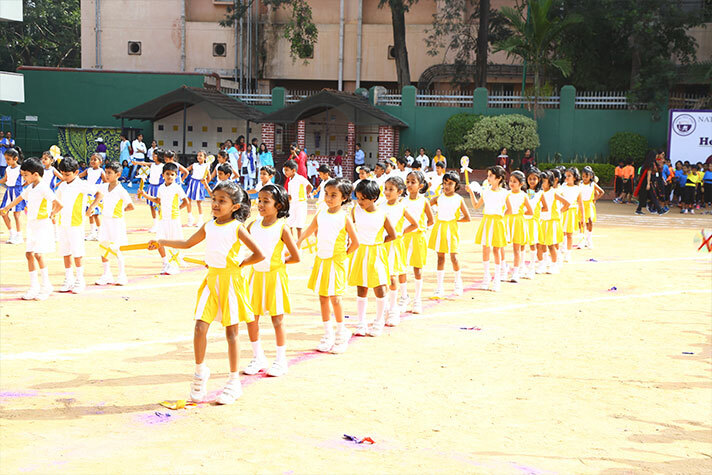 The school band accompanied the march past with their mirthful music. 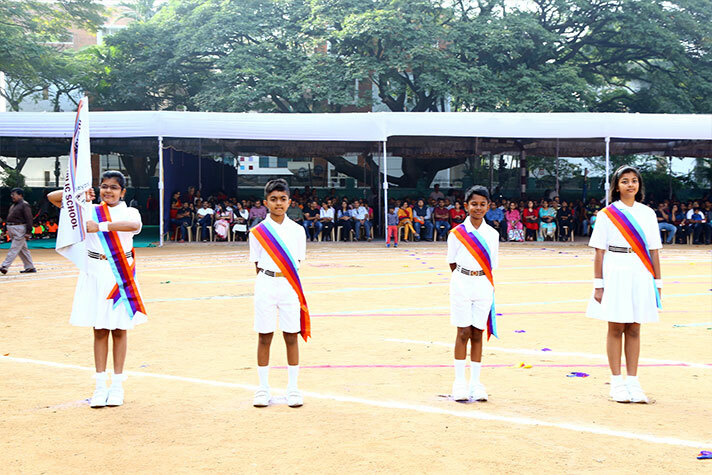 The winsome students entered into the spirit of the occasion with the oath being administered by the primary Sports Captain. 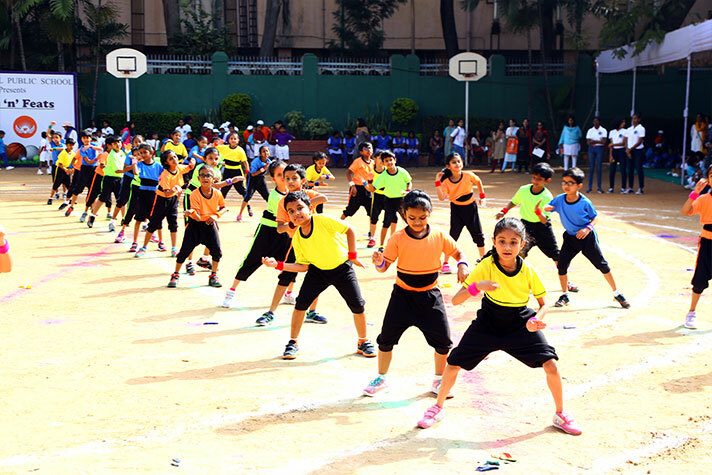 Frolicsome yet tenacious displays and events set the tone for the rest of the programme. 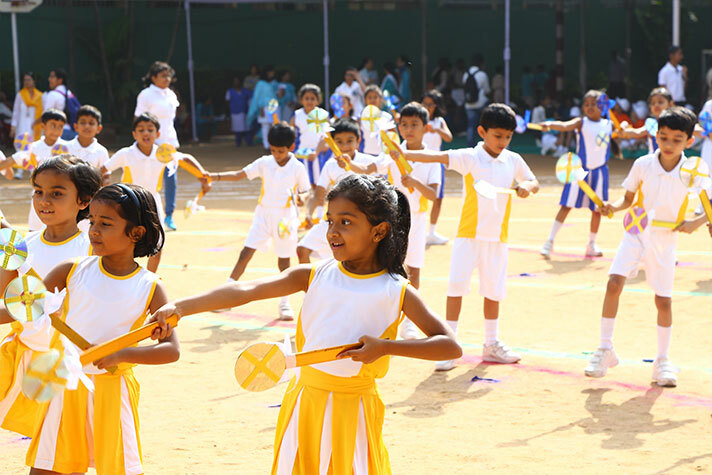 Once the races began, the air was filled with indefatigable encouragement, with the students rallying for their own houses. 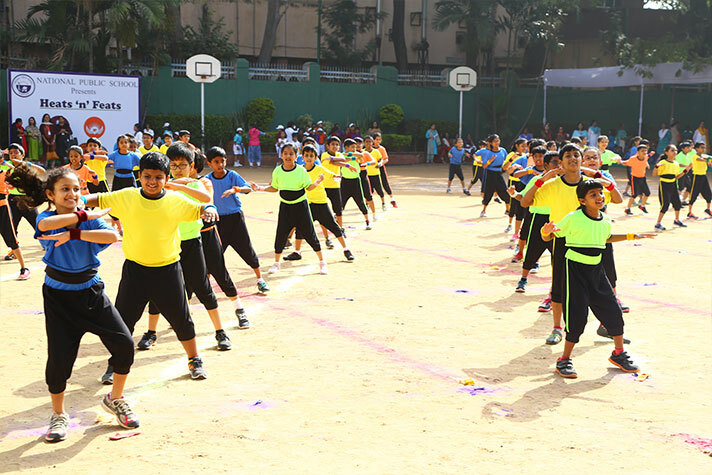 Taekwondo, a Korean martial art, was spectacled through kicks, punches and their immeasurable tile breaking skills. 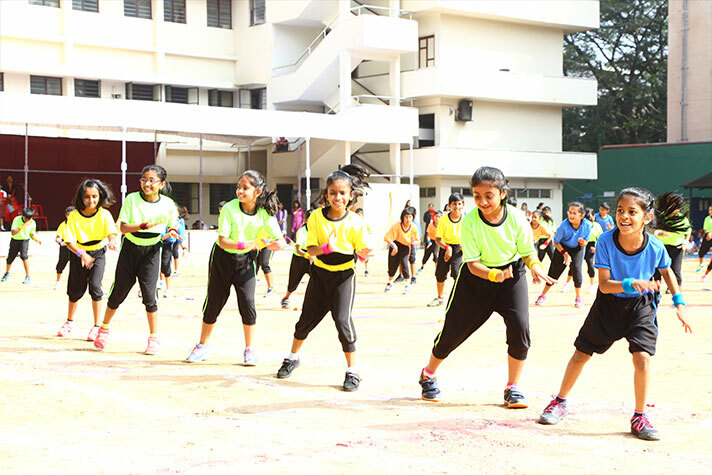 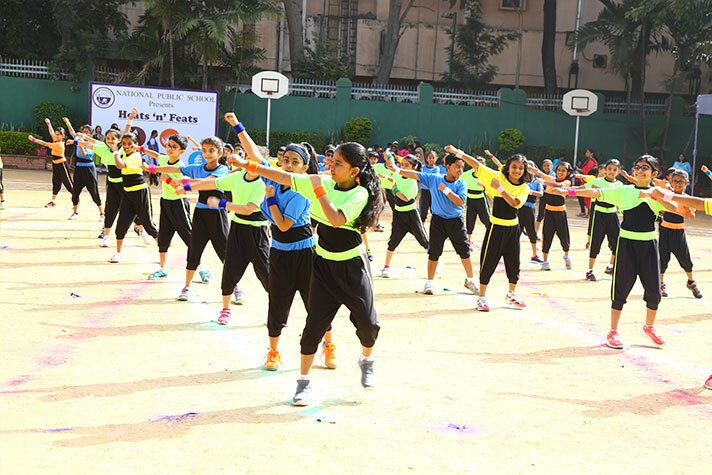 The campus reverberated through foot tapping music, drill and Zumba displays. 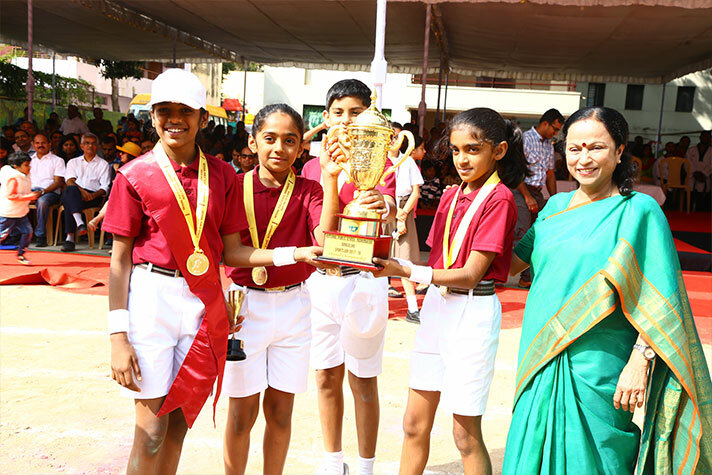 Finally, medals were bestowed upon students in the individual championships category. 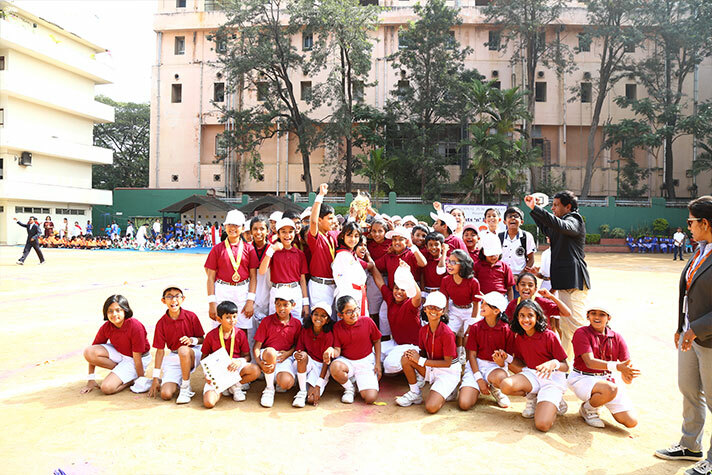 The Challengers house gleefully bagged the overall championship trophy.